Jojo Hedaya is the C.E.O at Unroll.Me, a company that he co-founded back in 2011. At the time, he was still studying at Brooklyn College, and the company pushed its way to the top in a short period. Jojo Hedaya is in charge of the operations sector and product development at the company working as the Chief Product and Consumer Officer also. Unroll.Me has a huge following with millions of users. It has been the talk on many newspapers and even media channels. At some point, it was listed in App Store as one of the top 100 apps. The app enables users to unsubscribe from annoying emails, organizes the user’s inbox, does away with spams, and also makes the mailbox more presentable. Hedaya is passionate about his work and believes in sharing his knowledge with others. He does this during talks at events and conferences that he attends. He also makes a point of mentoring his employees to help them achieve the best. Jojo Hedaya and his co-founder, Josh Rosenwald, had trouble sorting their emails. They would sometimes not get essential emails sent to each other as it remained buried under junk files. This frustration drove them to come up with an app that would help them arrange their mail and thus Unroll.Me was born. The app contains an additional feature, The Rollup that puts together all the subscriptions in one mail allowing space for more important mail. The Rollup can be set to appear at any desired time according to how the user prefers to read their mail. Jojo and Josh met while in college and became instant friends since they had a lot in common. They even shared the same birthday. From their friendship, a thriving business was born. Jojo Hedaya encourages young entrepreneurs not to be afraid to take a risk. Before quitting college to work on Unroll.Me, he was the Vice President and only had three credits left to attain his degree. He, however, took a chance and went to start Unroll.Me and it turned out to be a success. He also says that the key to a successful business is to create something that is not complicated but simple. The internet came about as a way of bringing people together. People are now communicating through platforms such as emails. Nowadays, people often check on their emails for notifications about offers or any relevant documents that relate to their line of work. At times, you may be receiving emails from different people. In such an instance, you may have a challenge keeping track of what is essential. To ensure that people could easily keep track of their important emails, Jojo Hedaya partnered with Josh Rosenwald to come up with the Unroll.Me platform, a tool that is used to organize emails. Jojo Hedaya is the COO and co-founder of Unroll.Me. Initially, he used to complain that Josh Rosenwald never answered his emails promptly. Josh always claimed that he could not find these emails. As a result of personal frustration, some form of necessity came about. Josh Rosenwald and Jojo Hedaya joined hands to formulate an email organization tool. They later unveiled the Unroll.Me platform that would scan a person’s inbox within seconds. All the subscription emails would be stored into a single email. Jojo Hedaya and Josh Rosenwald referred to this as “The Rollup.” After Unroll.Me scans through your emails; you can now peruse through all your subscriptions at ease. You also have the chance to choose the time whereby the Rollup can scan your inbox. Jojo Hedaya and Josh Rosenwald grew up in New York. They later traveled to Israel where they joined college. Josh Rosenwald and Jojo Hedaya first came to know each other while in Israel. They became close friends, and they are now business partners. Despite not completing their studies, Jojo Hedaya and Josh Rosenwald have highlighted the importance of possessing skills rather than knowledge. Unroll.Me has been operational for two years. At first, Jojo Hedaya and his partner unveiled their first version of the Unroll.Me platform but it never worked well enough. The platform was later featured on The Next Web as well as Lifehacker. They got numerous sign-ups afterwards thus resulting in the exponential growth rate of the platform. Despite the presence of multiple competitors, Unroll.Me has been able to stay a step ahead by offering their users a suitable personal experience. Ever since PSI-Pay was founded back in 2016, the company has been working to provide helpful credit card and debit card related services. Now that PSI-Pay has risen through the ranks and become one of the top regulated FinTech companies in all of England, their alternative payment solutions are reaching critical mass. There are a number of alternative payment solutions that are making their way into the mainstream and it is time to consider whether the world at large is fully ready to embrace this growing trend. PSI-Pay has formed a partnership with Kerv Wearables and global consumers will now have access to the very first MasterCard payment ring that is contact less. PSI-Pay’s forward thinking policies are in perfect alignment with the world that we now we live in. Now that we are communicating in a variety of different ways, we need payment systems that are tailored to our new realities. Smartphones are a key aspect of our lives. Almost every citizen now has access to a smartphone and this plays a major role when it comes to the payment systems that they wish to use. That is why PSI-Pay is aiming to meet these challenges and provide customers with the payment systems that they need most. These devices are the wave of the future and there a number of reasons why we should be getting on board now. First of all, the average consumer simply does not carry the same amount of cash as they once did. This allows for cashless trends to continue to grow. Recent polls also show that we are heading for a future where the average person does not carry a wallet. No one wants to wait in a long checkout line, as evidenced by the rise of self checkout lines at many major retailers. The act of physically swiping a card also leaves a customers vulnerable to identity theft. PSI-Pay is monitoring all of these developments and is making a strong bet that alternative payment systems will one day become the norm. Meeting the challenges of the next few years will be difficult but PSI-Pay is uniquely poised to conquer them. Bob Reina is the CEO for Talk Fusion, which has been the center of attention on many media outlets for technology as of late. This is because of Bob Reina’s rollout of Talk Fusion University, which is dedicated to helping associates learn the inner workings of the Talk Fusion business model and unlock their own potential for success. This learning tool is conveniently going to be available for free to all associates of Talk Fusion. It is Bob’s hope that the videos that have been put together will help associates expose new customers to the company’s products and a higher level of teamwork will be reached between all Talk Fusion associates. Talk Fusion provides their clients with newsletter products and different email based on using video. The company also has an app for mobile devices that offers video chatting and live meetings. This unique niche has a wide market, as people from many different industries and walks of life are interested in using these services. Talk Fusion’s special technology allows their clients to turn their videos recorded in real-time into compacted email files that are easy to distribute. Associates for Talk Fusion are able to sell these products to others to make money as well as earning commissions from recruiting new associates when they sell products to new customers. It is often Talk Fusion’s unique and profitable reward system that gets people interested in this kind of profession. 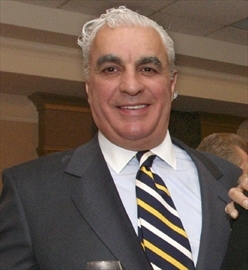 Gregory James Aziz is the present chairman, president and CEO of National Steel Car, one of Canada’s largest manufacturing corporations. The National Steel Car is the leading company in rolling production, and they have been operating since 1906. The company is based in Hamilton, Canada, and it was established by a group of wealthy investors who wanted to revolutionize the railroad industry. They have seen the potential of the Trans-Canadian Railway as a source of income, and one of the investors suggested that a rolling stock manufacturing company be built in the city to accommodate the future rise in the demand for rolling stocks. The company became one of the most profitable businesses in Canada a few years after they opened. Several high-end transportation companies in Canada are contacting the company to order rolling stocks, and this period in the history of the National Steel Car was known as their Golden Age. However, this Golden Age would soon come to an end as the Great Depression started to reign globally. Economies crashed, and businesses had to close down. The National Steel Car endured the challenges that they faced during the Great Depression, and the company made it during the World Wars. Visit This Page to learn more. The National Steel Car was contracted by the government to create weapons and vehicles to be used for the war efforts. The company also slowly gets back on track during the war because of the profit that they are receiving from the government. In the 1960s, Dofasco, a leading Canadian steel manufacturing company, decided to purchase the National Steel Car. They would operate the rolling stock manufacturing company for about 30 years, before deciding to sell the company because of challenges that they faced during the economic crisis of the late 1980s to the early 1990s. It was Gregory James Aziz who decided to purchase the National Steel Car and manage the rolling stock company to become great again. Aziz is the reason why the numbers of employees at the National Steel Car keep on rising. Gregory James Aziz believes that a production company must have many employees to do the job faster. He hired more than a thousand individuals to help with the production, and his thinking caused the National Steel Car to double its production and be able to export rolling stocks to other countries. Gregory James Aziz was awarded because of how he transformed the company. 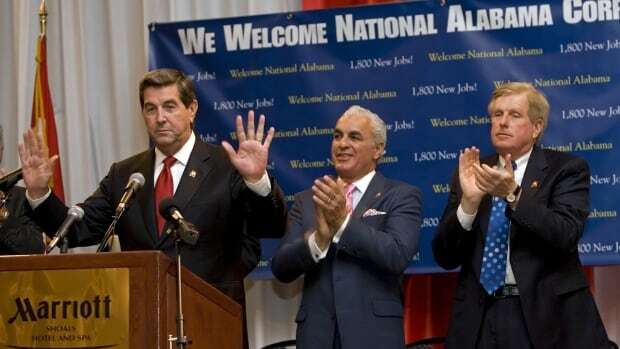 At National Steel Car; a subsidiary of National Industries Inc., Gregory Aziz is the President, Chairman and CEO. He is in charge of a large team that completes orders for freight cars. This company is one of the leaders in the competitive industry of railcars. When Gregory James Aziz puts his leadership in place, his entire team gets busy in order to do what they can to make it work. They are all willing to work hard for him because he motivates them in great ways. They are experts at what they do, and they always produce work to the highest levels and standards. Greg Aziz is a man of character on and off the job. He continuously gives to charities to help those in need. When he gives he wants to show others in his company a good example, and he encourages his team to also take part in community affairs. The team that he has created works very well together. The company has been honored many times for its excellent production of freight cars. They find a need for their client base and they fill it at National Steel Car in an exceptional way. Greg Aziz is educated and professional. Aziz is an experienced expert in the field, and he is able to get to know his team players in a personal way. With all of his abilities and interests, he can give others a reason to be proud of what they do. In many ways, Greg Aziz has been able to give so much to many people so that his company can excel at whatever project that comes their way. Making strides all the time is what he does best, and Gregory J. Aziz is respected by his community and his company’s staff members. Refer to This Article for additional information. National Steel Car is looking at a great future. There should be many more clients based all over the world that want to do business with them. This is because they offer the best freight cars in the business. In the years to come, they will gain an even greater lead in the industry that they proficient in.